For the hide online fans! Hi, We all know about this cool game Hide Online. We are gonna talk about stuff, tips, tricks, and more things (report problems not included). -FOR EVERYONE- Game link- http://www.y8.com/games/hide_online. Wanna Talk, Need new friends! What help do you want? All is here! Tips, tricks, Glitches(not harmful), players, and charts. Hey,are you guys thinking? Every tip listed out here? Nah! Only when you ask! 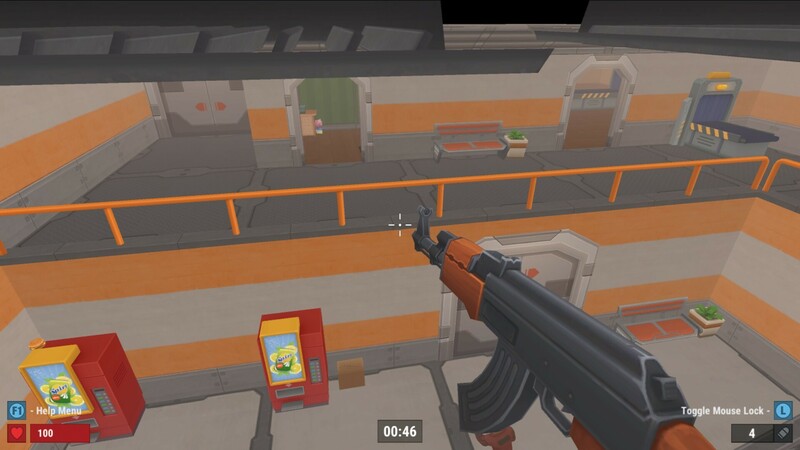 But here is a common tip to start with in the arcade map (PROPS) Go behind the arcade in the small arcade room with boxes in it. Make sure that you are a cup/burger, or this won’t work. You might be stuck in the arcade sometimes. Don’t leave unless a hunter seems to toy with the machine. It is a really good spot, and you will like it! i think you mean game with me, right? Ok,I will! my name is dangitos. what is yours? 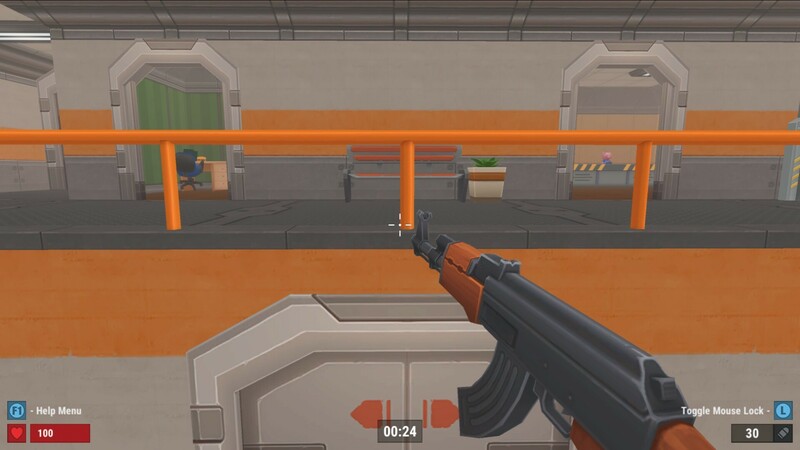 In the map with the manufacturing plant there’s the big hall with the orange generator in the corner. 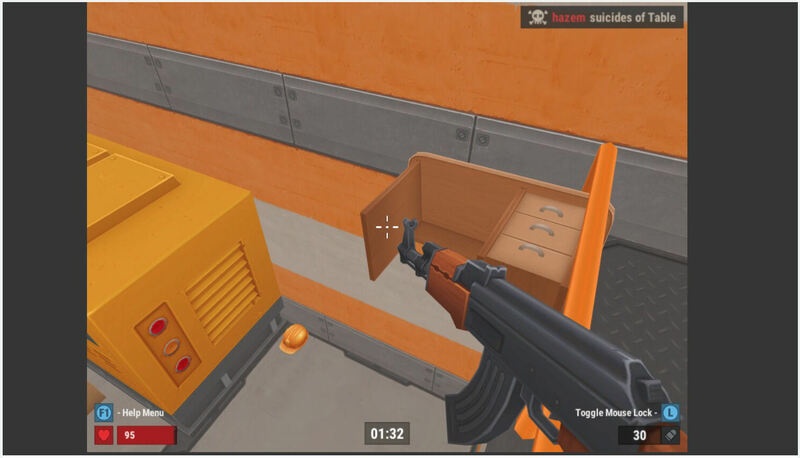 Usually only props (hamburger, piggy bank) can enter the generator by jumping from the gallery. A while ago I found a way to enter the generator as a hunter: I pushed an office table (from the room on the first floor) under the railing so that it headed into the direction of the generator. That was quite tricky and not easy to accomplish; it took several attempts until it finally worked… but when it worked I could use the table as a “bridge” and jump on the generator. It didn’t make any sense in the game, but was fun to accomplish. 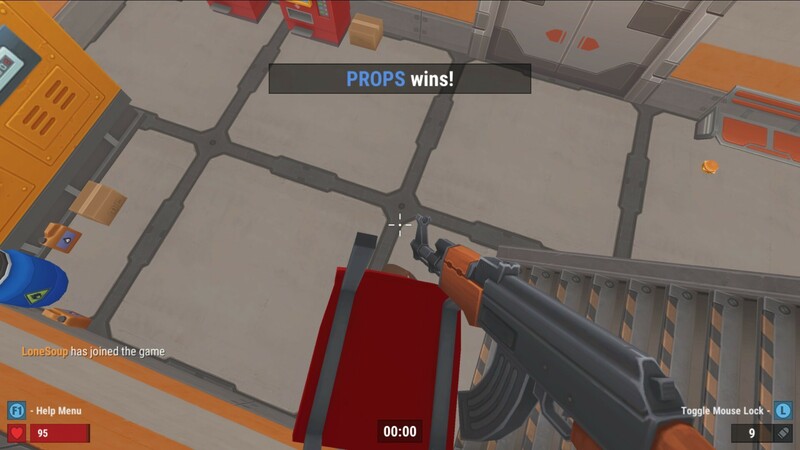 A strange glitch: Getting “kicked out” of the map and watching everything from "above"
This glitch happened to me several times in the café/bar map (the map with the arcades), when I was hiding as a hamburger on one of the arcades, especially the one mentioned above. When one of the hunters moved the arcade heavily it happened that I was pushed to the ceiling and - somehow - out of the map. Then I could not move anymore but watch the room/scene from above. My position was clearly outside of the map. The game notified “Player xy is missing”. It also happened to me once when playing as a hunter and standing close to the ceiling on an arcade, that was knocked over. Another hunter ran against the arcade and I was pushed to the ceiling, out of the map. I’m sure that other players experienced this glitch, too, because I also saw the note “Player xy is missing” several times when playing regularly. Then it must have happened to another player. 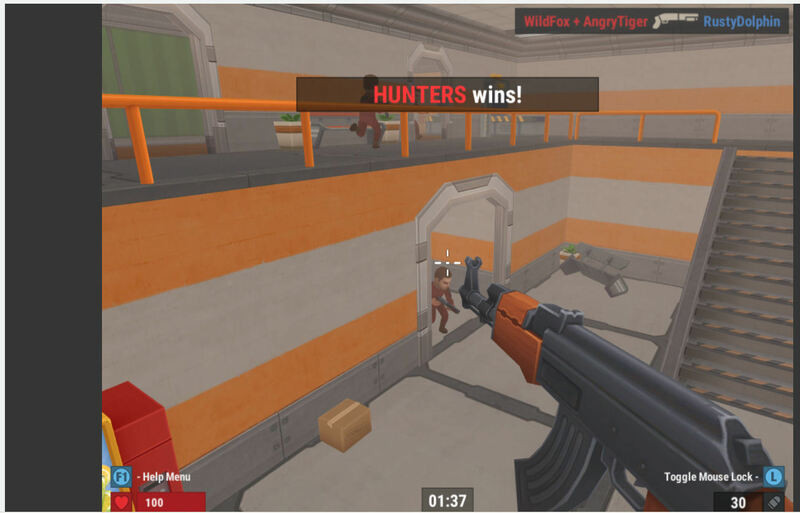 Thanks to Alice for showing how to kick oneself out of the office map as a hunter! Caribou! Its me,dangitosdabro! thanks for sharing your idea out there! I will add a new idea next week! stay tuned! Hi! today I'm level 43 and my gamer tag is °°ARIEL.CL°° if you wanna play with me. ¡Hola! hoy soy nivel 43 y mi usuario es °°ARIEL.CL°° si quieres jugar conmigo. Which rounds in Hide Online do you prefer? Playing as a hunter or playing as a prop? Which map is the hardest to survive as prop for three minutes? Hey @Ubernastical, I’m looking for forward the new idea you pronounced! Floating on red chairs is the most amazing thing I saw in Hide Online so far. 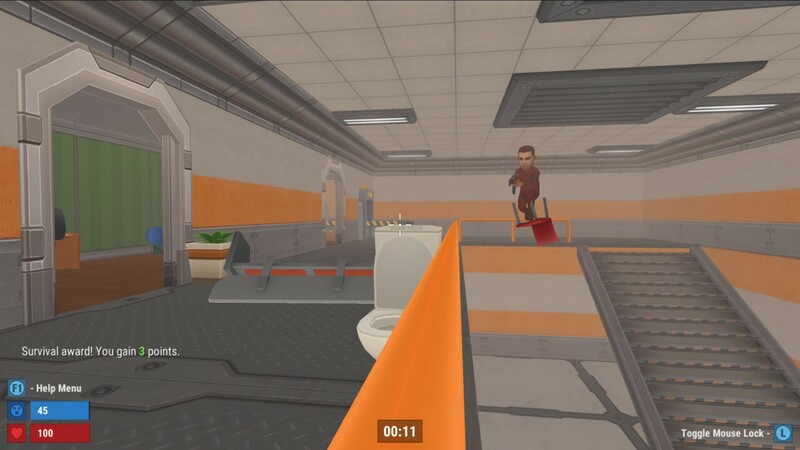 The best place for it is the big hall in the construction site map. Floating is based on the (pseudo-)physics of the game engine and balance. Forget about the bridge mentioned above to enter the generator as a hunter, because there’s a much easier way: all you need is to bring a chair close to the generator, using it to float up und then jumping from the chair on the generator. Like everything else shown here floating is quite useless but a lot of fun!